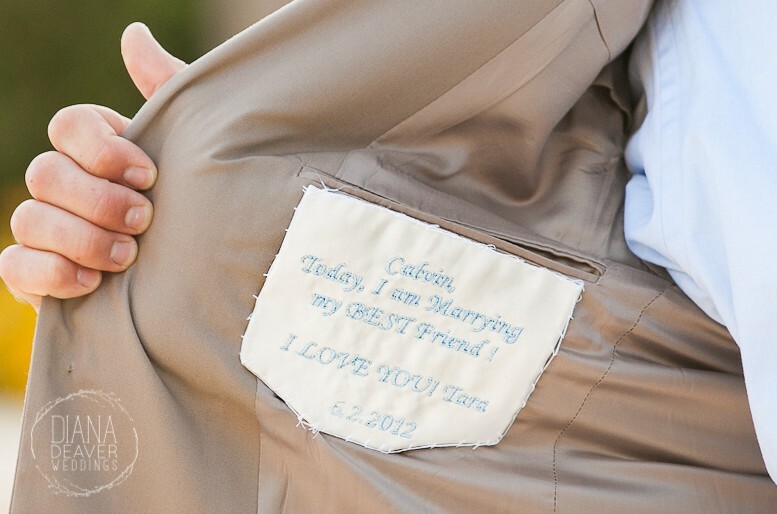 Embroider a sweet note on a piece of fabric and sew it into the inside pocket of the groom’s jacket! See more photos from this wedding on the source. See this idea with the note sewn directly into the jacket fabric.